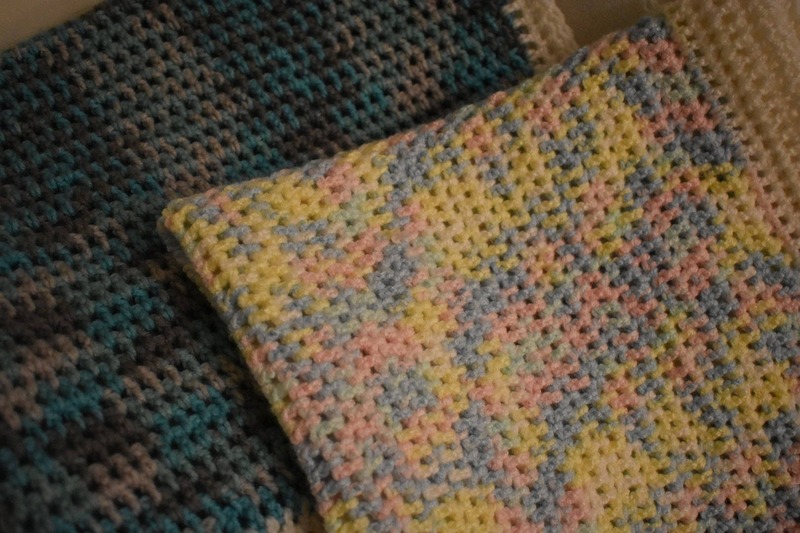 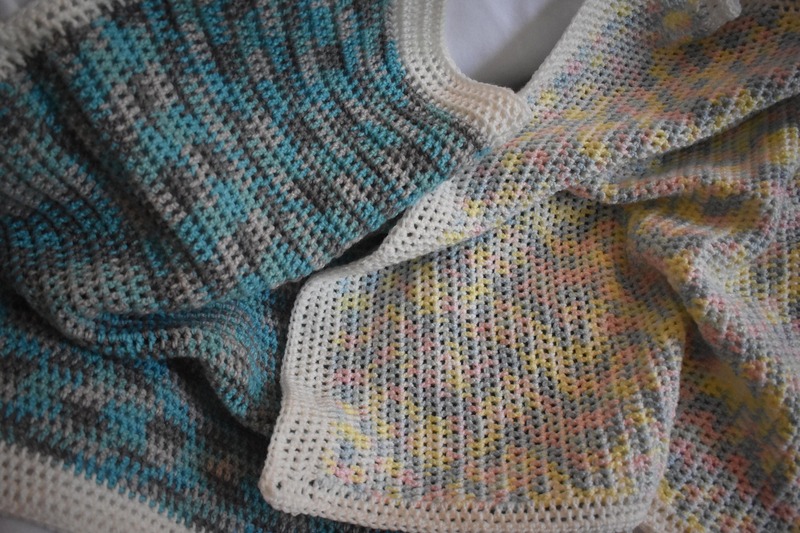 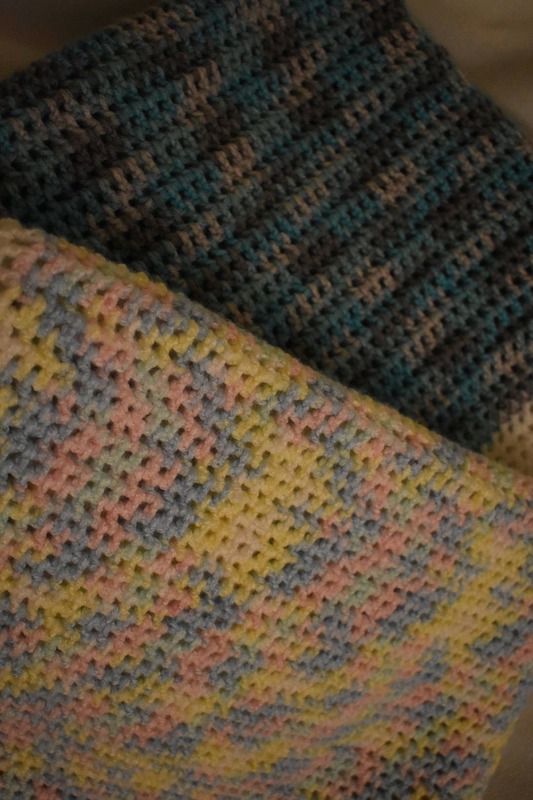 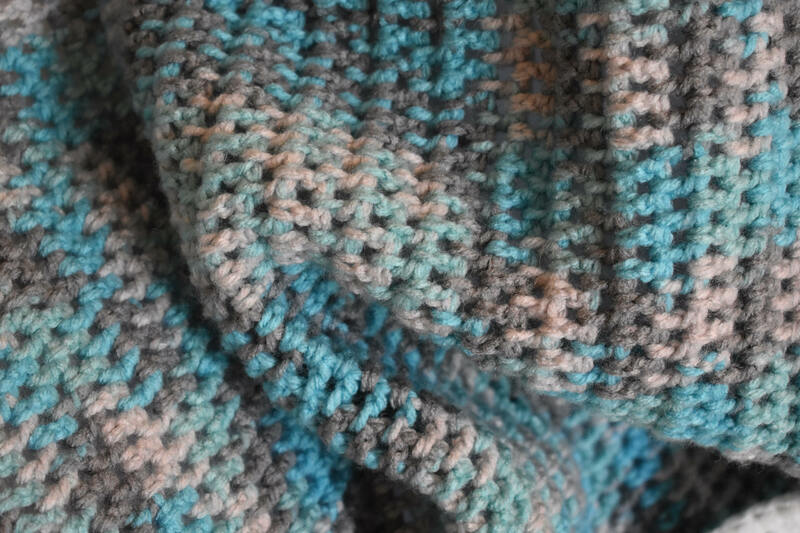 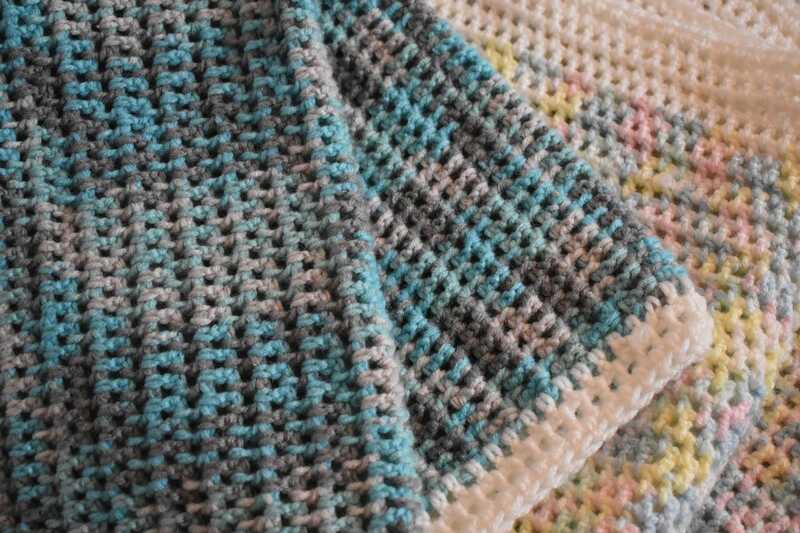 The Baby Blue, Gray, & White Gradient Crochet Baby Blanket is crocheted with care out of a comfy cozy soft yarn. 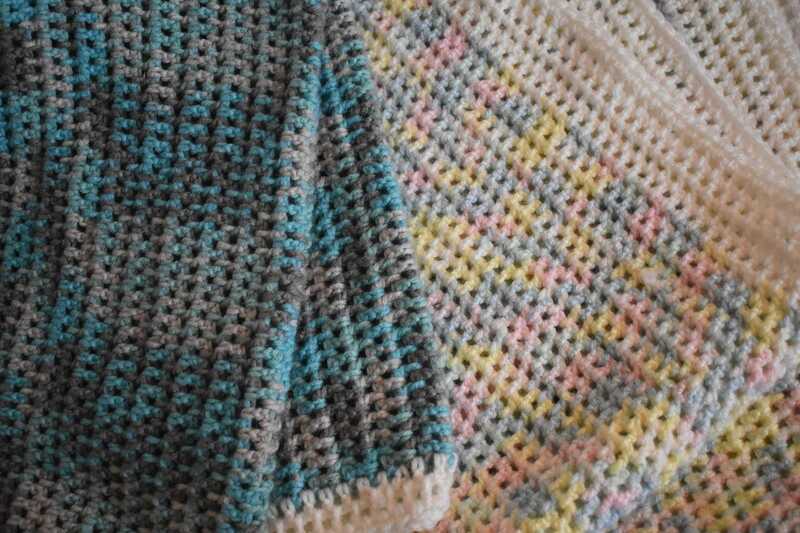 This blanket measures roughly 28 inches by 24 inches and is machine washable and durable. 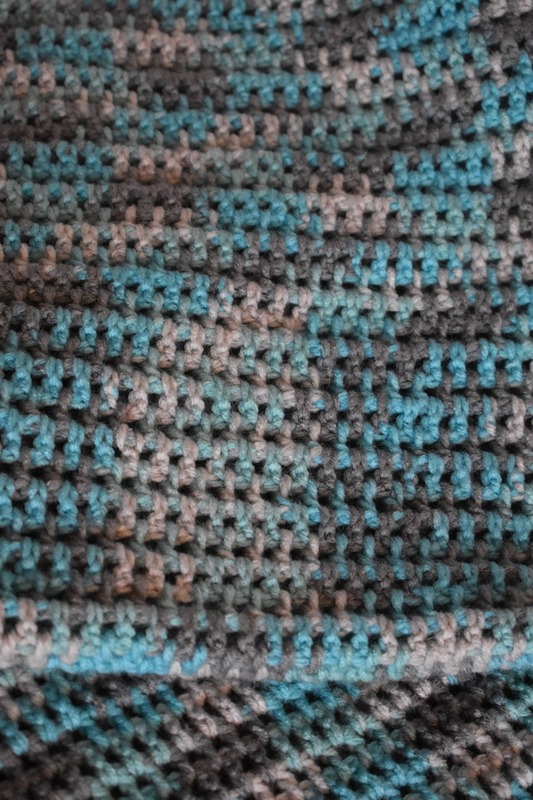 It will likely stretch out with use, wash, and wear.